Caliente organized its first Racetrack in 1927, in an area where the majestic Casino of Agua Caliente now stands. Caliente Racetrack served as a meeting place of politicians, nobles, theater and international actors. In 1929, the Caliente Racetrack was transferred, to the southeast side of the Tijuana, where it was re-inaugurated with a splendid and magnificent wooden building. In 1947, Caliente built an excellent greyhound racetrack at the infield of the horse racetrack. 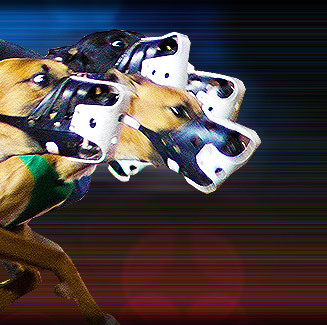 Greyhound racing was introduced to Mexico through Caliente Greyhound Racetrack. American breeders brought their best greyhounds to compete at Caliente, notably the celebrated Indy Ann and O All's Doug, winners of 137 and 128 careers, respectively. In 1971, a fire destroyed the beautiful building of the racetrack. But Caliente rose from ashes and, hardly one month after the catastrophe, re-opened the track. Caliente Greyhound Racetrack is located in the city of Tijuana, inside the famous Caliente Racetrack, at boulevard Agua Caliente 12027, Tijuana, B. C., Mexico.